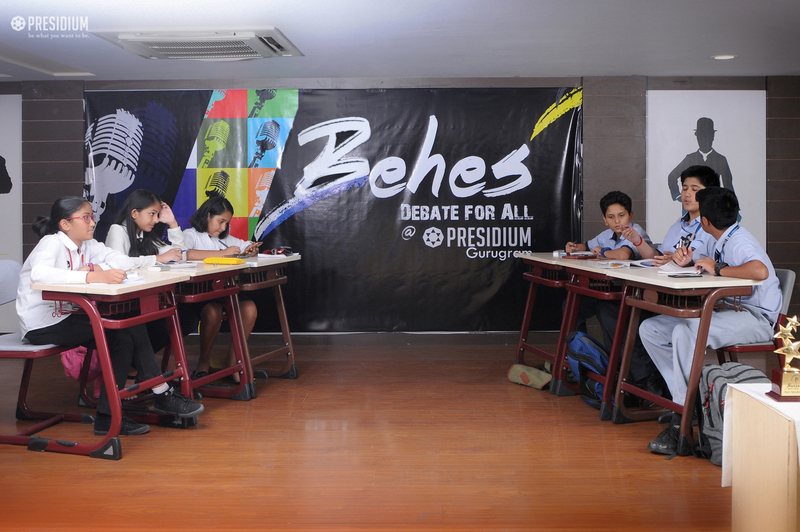 With an aim to promote public speaking and reasoned expression among students, Presidium hosted the spectacular Behes event.. The two zealous days witnessed students exploring a plethora of topics and critically examining them. All the debate topics were given impromptu based on a suggested reading. Students from the host school as well as various other schools across Delhi/NCR had participated. Their free flowing ideas on various topics had been a display of impeccable research, collaborative and analytical skills. The tournament proved to be a successful global platform for budding debaters enabling them to express their views rationally. Out of the 40 top speakers, more than 30 were from Presidium, Gurgaon. Our budding Presidian, Pulkit Garg of grade 9 was the proud winner of the best speaker award from amongst the 200 participants.